Baltimore (February 11, 2019) / NAVGTR CORP. – The National Academy of Video Game Trade Reviewers, a 501(c)(3) non-profit media organization of 1,100 media voters and 8,895 subscribers, has announced nominees for its 18th annual awards program honoring video game art, technology and production. Winners will be announced March 13th, as well as represented at the War of Awards ceremony at this year’s PAX East. NAVGTR strongly supports the IGDA Developer Credit special interest group (SIG) at http://igda.org/devcredit to improve crediting practices, making award attributions possible for individuals. 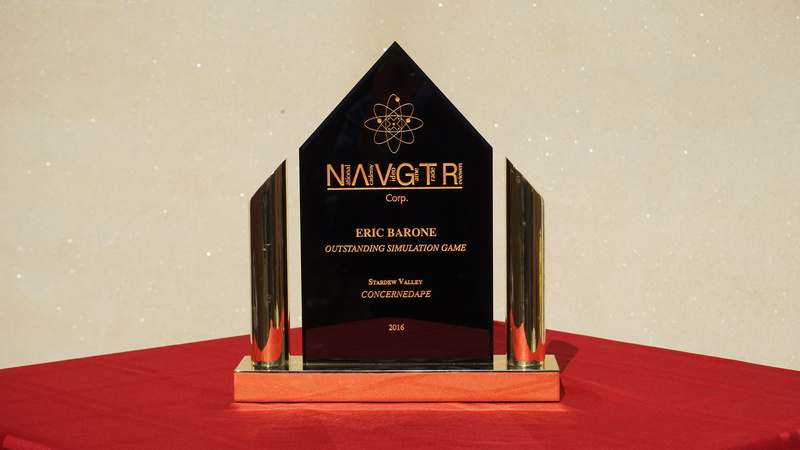 To learn more about the NAVGTR Awards please visit http://navgtr.org/. The general voting body of reviewers, journalists, analysts, YouTubers, Twitch streamers, content creators, and writers includes contributors for Bitmob, CBS Interactive, Destructoid, EGM Now, Game Informer, Game Trailers, GamesIndustry.biz, Gamespot, Gamezone, IGN, Kotaku, Machinima, Mashable, Massively, MSNBC, Polygon, Retroware, The Koalition, Ten Ton Hammer, and Venture Beat. 03 Square Enix Co. Ltd.
03 First Contact Entertainment, Inc.
06 Warner Bros. Interactive Entertainment Inc.
04 BANDAI NAMCO Entertainment Inc.
03 Matt Makes Games Inc. This entry was posted in 2018, Game of the Year and tagged dead cells, detroit become human, God of War, marvel's spider-man, red dead redemption 2. Bookmark the permalink.